We’re big dreamers here at Babyology and we can’t help but stop and admire the occasional piece for those with big decorating budgets, such as this piece from the designer of all things luxurious, Thomas Laurens. For someone who designs gorgeous interior spaces, we’re thrilled that Amsterdam-based Thomas Laurens has turned his hand to pieces of furniture. 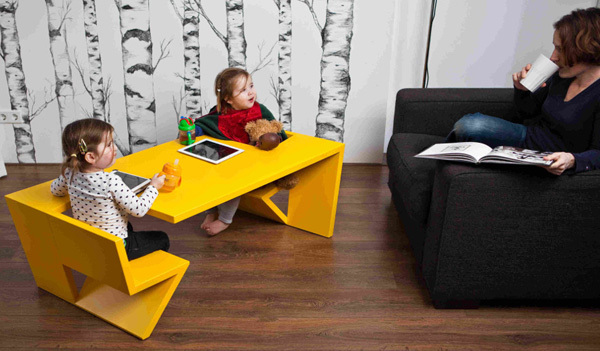 A contemporary angular design in sunshine yellow no less, the Thomas Laurens Kids Coffee Table is a sight to behold. 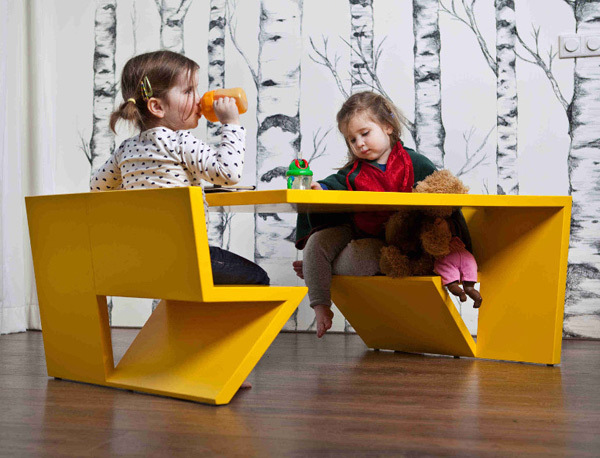 Its angular shape provides both surface area and seating to suit two children and doesn’t look like an abandoned kids craft table when not in use – which I love. Now, as cautioned, while there’s no denying the Kids Coffee Table is a stunning statement piece, it does cost €2400 which is roughly $3700 Australian dollars! If you are prepared to splurge, more details on how to order can be attained by contacting Thomas Laurens.